Ryanair, Europe’s No.1 airline, today (23 Mar) announced that it will fly to Ukraine, its 36th country, from October 2018. Ryanair will deliver 800,000 customers p.a. at two major Ukraine airports with 10 new Kiev routes to Barcelona, Bratislava, Gdansk, Krakow, London Stansted, Poznan, Stockholm, Vilnius, Warsaw and Wroclaw and 5 new Lviv routes to Dusseldorf, Krakow, London Stansted, Memmingen and Warsaw. Ukrainian consumers and visitors can now book their holidays as far out as March 2019 at Ryanair.com and Ryanair celebrated its new Ukraine flights by releasing seats for sale at prices starting from just €19.99 for travel from October to March, which are available for booking until midnight Monday (26 Mar). 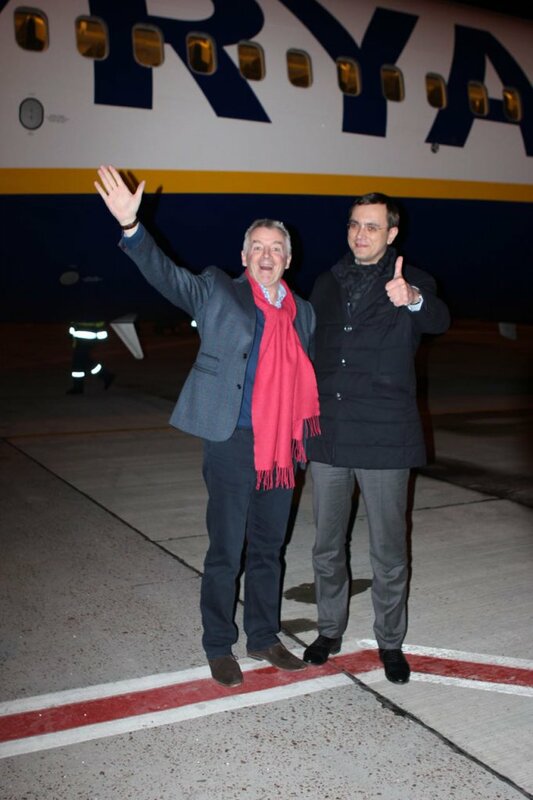 “Ryanair is pleased to announce that low fares have officially arrived in Ukraine, our 36th country of operation, with 15 new routes from Kiev and Lviv, beginning in October, which will help deliver 800,000 annual customers at these two Ukraine airports. “Ryanair’s entry to Ukraine is the most important event for the national airspace over the past 20 years. Europe’s largest low-cost airline begins its operations at Boryspil International Airport (Kyiv) and Lviv Danylo Halytskyi International Airport (Lviv). For Ukrainians, Ryanair’s arrival brings about the opportunity to travel cheaply and safely. For the country, it means development of the aviation industry and the network of regional airports. For business, it points to a free and competitive market, with rules of fair play. For visitors, you can fly to Ukraine at the lowest fares and discover its openness, beauty and business opportunities.